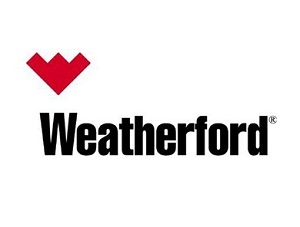 Weatherford supports the sustainable development and production of oil and gas resources, wherever they exist, to ensure the world’s current and future energy needs can be met safely, efficiently and economically. Specializing in innovative formation evaluation techniques, products and services that ensure well integrity and drilling reliability, novel reservoir completion and stimulation technology that optimizes recovery, and the industry’s leading portfolio of artificial lift products and production optimization capabilities, Weatherford develops and applies its specific technology, understanding and expertise to help its customers efficiently develop new resources and maximize recovery from producing reservoirs. Supervise and coordinate product & service line in accordance with Weatherford and Customer procedures. Act as principle technical assistant to the Business Unit Manager. To assist the FOM and TSE with client meetings on the qualification of job proposals, both technical and commercial. Liaise with the FOM, TSE and workshop supervisor on the preparation of equipment for all Jakarta based operations along with any support needed to assist the Balikpapan team as and when directed by the FOM. To support workshop activities at Narogong with daily/weekly frequency as required. To support field based operations as a last man out when operations dictate. Advanced mechanical aptitude pertaining to the repair and maintenance of Weatherford Thru Tubing fishing, milling, mechanical packers & plug equipment. It would be advantageous to have experience with Weatherford inflatable plugs and packers. Comprehensive understanding of the execution of all Thru Tubing fishing, milling, mechanical plugs and packer applications at the rig site. Strong ability to work on one’s own initiative in the workshop and at the clients rig site. Comprehensive understanding of downhole hydraulic calculations and experience in the use of Macflow PDM software. Excellent planning and understanding of workshop and field based OEPS process pertaining to Well Services. Must possess a flexible approach to time management after normal working hours and weekends as and when operations dictate. Ability to assist FOM and SDM with CPAR and Audit processes when called upon. Minimum of 8 years experience in relevant products & services. Settle incoming, storage and shipping in good condition and maintain housekeeping in warehouse. Receive incoming Parts and storage them in warehouse and yard. Assist workshop personnel to prepare tools & equipments to be sent. Packing and prepare shipment. Assist to store tools and equipment to fit for purpose. Operate forklift to load and unload equipment. Store tools safely and in such as way as to preserve condition. Good knowledge of warehouse system. Basic written and verbal English communication skills. Working knowledge of Microsoft Word for Windows, PowerPoint and Excel. 3 years minimum of Storeman. FRAUD WARNING!! Weatherford Indonesia will never ask applicant to pay a processing fee, ask for money or appoint any travel agent for the recruitment process. Maintain routine watch keeping in CCR, assisting Lead CCR Operator for the control of all aspects related to cargo operations, maintaining LSA, FFA and SOPEP equipment in good condition. Loading, lifting and all other activities related to cargo operations. Using RADARS and all other means to monitor surrounding area of FSO. Monitoring of gas detectors, smoke and heat detectors on the FSO. Monitoring of the FSO alarm systems and taking appropriate and early actions to respond to alarms. Acting as Area Operator and Isolating Authority in the absence of Lead CCRO. Prepare midnight inventory report and update Energy Component for deck ops related activities. Radio operators for both marine (GMDSS) and helicopters (ARO). Update deck ops related log books. Assist Lead CCRO and Deck Ops Supervisor as required. Assist personnel and material transfer as required. Updating the Energy Components computer reporting system for daily reports. Committed to safety and company procedures in all tasks. Maintaining LSA, Fi-Fi and SOPEP equipment on deck ops area in good condition and keeping the inventory list of these equipment up to date. Fulfill all Safety, Health and Environmental requirements. Committed to be an active Team Member. Analytical thinker, enthusiastic, self-directed and customer focused. Demonstrate a developing understanding of business practices and controls. A Class 2 or 3 certificate of competency in a deck position. A dangerous cargo endorsement is essential. Communication and teamwork skills are essential. The CCRO must be capable of working in a multi national environment, sensitive to the local culture and an International workforce. A high level of computer ability and skills are essential for this position. Job Role Summary; Serves as a member of the Production Projects (PP) team or Corrosion & Integrity team. Interfaces primarily with OpsTech Production Projects Supervisor and Operations Technical group, assist Project Engineer to plan the field modification piping works, including schedule, cost estimate, material procurement. Provides technical expertise in structural integrity including development, implementation and stewardship / continuous improvement on structural integrity management. Senior Geomechanic Specialist is a key member of Geoscience and Petroleum Engineering team. He/she will do geomechanic analysis, geology interpretation, and support other Product Lines as trusted advisor. This role will do hands-on work from wellbore-scale into field-scale, generate geomechanical model 1D/3D, pore-pressure prediction-to-4D geomechanic evaluation, technical and coaching presentations, generate reports, and some business development involvement. The successful Senior Geomechanic Specialist will have extensive communication at all levels, have good personal confidence, and comfortable with client interactions. Support Product Lines to provide best technical evaluation. Desired Characteristics: Confidence and technically-strong to provide detail explanation, mentoring, coaching, depth-knowledge in geomechanic, and able to do comprehensive and detail geomechanical analysis with limited supervision. If the link above can't be opened, then the vacancy has been closed. FRAUD WARNING!! 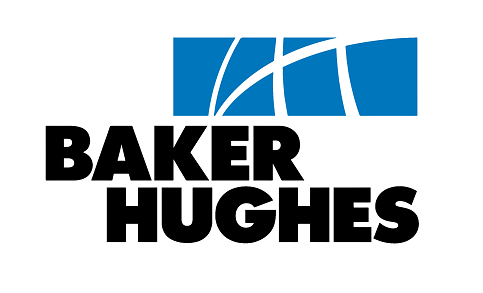 Baker Hughes will never ask applicant to pay a processing fee, ask for money or appoint any travel agent for the recruitment process. 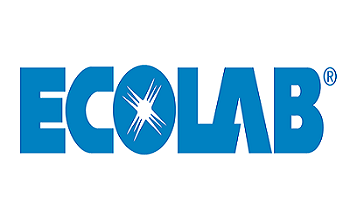 Nalco Champion, an Ecolab Company, has an immediate need for an Application Engineer in our Energy Services group. If you are a passionate technical professional that likes to work in an autonomous, hands-on environment, we invite you to apply. This is your opportunity to join a large growing company offering a competitive base salary and benefits. You will be primarily responsible for working with Sales Representatives on executing service plans in strategic district accounts. This will involve the completion of agreed upon contractual services in your assigned accounts, and providing customers with problem solving support. You will also assist District Sales Representatives with start-ups of both new applications in current customers, and in transitioning competitively-held accounts to Nalco Champion. This position will also require you to build strong relationships with your assigned customer base to generate a high level of customer satisfaction. Develop strong relationships with the key stakeholders in the strategic district accounts where you provide service support to other District Sales Representatives. Provide technical support to customers; identifying and resolving customer pain points, escalating as required. Responsible for coordination and technical troubleshooting jobs. Prior experience that demonstrates a strong work ethic and ability to multitask. FRAUD WARNING!! ECOLAB will never ask applicant to pay a processing fee, ask for money or appoint any travel agent for the recruitment process. Indrillco Hulu Energy merupakan perusahaan eksplorasi dan produksi minyak dan gas alam yang berada dalam grup Indrillco Grup yang berkantor pusat di Jakarta. Salah satu lapangan migas yang sedang dikembangkan yaitu di Sumatera. Indrillco telah mendapatkan kontrak kerja sama migas di daerah ini dan bekerja sama dengan Samudra Energy Ltd untuk mengoperasikan lapangan Uno, Dos, dan Rayu (UDR) dibawah kerjasama operasi dengan Pertamina EP. Indrillco Hulu Energy dengan area operasi di Sumatera Selatan, mencari tenaga kerja yang berpengalaman dan professional untuk mengisi posisi di bawah ini. Drilling Engineer bertanggung jawab untuk membuat perencanaan keseluruhan sumur minyak dan gas, memonitor drilling operation, memantau drilling performance, menganalisa data performance, menetapkan serta memberi saran tentang optimalisasi drilling process. Quality control atas biaya-biaya drilling, menentukan perkiraan biaya, menyediakan data biaya budget-quality, dan rekonsiliasi overruns biaya. Memastikan program drilling dan semua informasi pendukung dan izin disiapkan serta dikirimkan tepat waktu. Bekerja sama dengan team lainnya seperti Produksi, Pengadaan, Keuangan dan perusahaan jasa untuk memastikan kegiatan drilling sumur telah sesuai dengan operational requirements dan safety requirements. Melakukan estimasi, monitor, dan analisis biaya untuk kegiatan drilling dan mempersiapkan AFE dan close out AFE. Memantau semua fase Pengoperasian Pengeboran dan memonitor kuantitas material yang dipakai, perhitungan biaya dan pengkodean biaya (AFE) untuk tujuan analisa produktivitas dan analisa keakuratan perkiraan biaya. Meninjau laporan harian terkait dengan kru, progress, dan masalah untuk memastikan semua data pelaporan cukup dan akurat, dan memberikan umpan balik untuk Drilling Operation. Melakukan post drilling analysis, root cause analysis dari masalah saat drilling operation dan menyarankan proses untuk improvement. Perjalanan ke lokasi lapangan untuk memantau dan berpartisipasi dalam Drilling Operation. Memberikan dukungan kepada Regulatori untuk setiap aplikasi izin yang diperlukan. Mampu melakukan analyze, interpret dan integrate data dari daily drilling reports, mud reports, rig operations, AFE and WPNB, dan Geologic Data. Memahami aplikasi governmental laws dan regulasi yang berlaku di area kerja/drilling operations. Memahami regulasi dan prosedur yang berlaku di area Pertamina dan SKMIGAS. Memiliki kemampuan analitikal dan solving problem seuai prinsip-prinsip engineering. 7 - 10 tahun pengalaman di Oil dan Gas industry. Memiliki Sertifikat IADC / IWCF dan Safety (minimal requirements). Diharapkan juga: sertifikat AP3. Kemampuan komunikasi yang baik dan kemampuan teamwork. CRITICAL HARUS MEMILIKI: Kemampuan berkolaborasi secara efektif dalam Team. Berperan sebagai fungsi hukum di Tim Pengadaan serta berperan dalam urusan legal terkait bisnis perusahaan. Berperan didalam tim dalam penyusunan, negosiasi, dan pemberian nasihat tentang berbagai pengaturan pengadaan (termasuk SDM, fasilitas, jasa, konsultan, dan teknologi, dll). Memastikan semua prosedur di perusahaan telah mematuhi hukum dan peraturan yang relevan baik untuk pengadaan, ketenagakerjaan, dll. Memberikan saran/nasehat hukum dan bertindak sebagai wakil perusahaan dalam permasalahan hukum (SDM, Niaga, dll) secara kolaboratif, profesional, dan tepat waktu. Membantu merevisi dan mengembangkan preseden, pelatihan, catatan saran, dan dokumentasi lainnya. Membantu meningkatkan proses pengadaan yang ada di perusahaan. Menyusun dan negosiasi semua bentuk perjanjian pengadaan (kontrak, PO, SO Technology Agreement agar semua perjanjian pengadaan memiliki Kualitas yang tinggi. Melaksanakan review dan menegosiasikan “Syarat dan Ketentuan” untuk supplier pihak ketiga dan memberikan saran kepada manajemen tentang cara mengelola risiko dan relationship dengan supplier terkait. Bekerja sama dengan anggota tim pengadaan lainnya (sebagai satu tim pengadaan) untuk saling memberikan dukungan dan saran yang efektif dalam pelaksanaan RFQ (Request for Quotation) dan proses tender yang kompetitif. Berhubungan lintas divisi dalam kaitannya dengan kegiatan pengadaan, dan bekerja erat dengan semua tim lainnya di perusahaan. Pengalaman menyusun dan menegosiasikan perjanjian-perjanjian Outsourcing, Long Term Service dan Technology. Memiliki pemahaman yang baik tentang berbagai jenis hukum misalnya hokum mengenai perjanjian, bisnis, pengadaan jasa dan barang, ketenagakerjaan, data dan teknologi, dll. Memiliki pemahaman dan pengalaman pada bagian Pengadaan di industri Oil dan Gas. 5 tahun pengalaman di Oil dan Gas industry. Memiliki Sertifikat PTK 007 Revisi 3. Berkemampuan berbahasa Ingris Oral dan Writen. FRAUD WARNING!! Indrillco Hulu Energy will never ask applicant to pay a processing fee, ask for money or appoint any travel agent for the recruitment process. 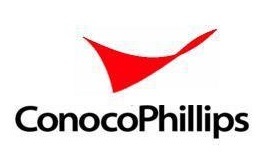 ConocoPhillips is the world’s largest independent E&P company based on production and proved reserves. Headquartered in Houston, Texas, ConocoPhillips had operations and activities in 17 countries, $73 billion of total assets, and approximately 11,400 employees as of Dec. 31, 2017. Production excluding Libya averaged 1,356 MBOED as of Dec. 31, 2017, and preliminary proved reserves were 5.0 billion BOE as of Dec. 31, 2017. Majoring in any relevant fields with minimum GPA 3.0 of 4.00 or 77,5 of 100; however background must be aligned with ConocoPhillips’ business needs. Graduated from university with an A accreditation (domestic) or listed in Top 100 world rank universities (international). FRAUD WARNING!! ConocoPhillips will never ask applicant to pay a processing fee, ask for money or appoint any travel agent for the recruitment process. We are looking for the right people who want to innovate, achieve, grow and lead. We attract and retain the best talent by investing in our employees and empowering them to develop themselves and their careers. 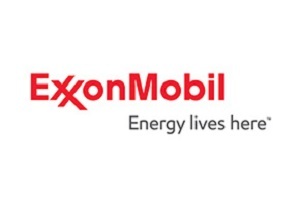 Experience the challenges, rewards and opportunity of working for one of the world’s largest providers of products and services to the global energy industry. Responsible for ensuring duties are performed in a safe, efficient, and effective manner. 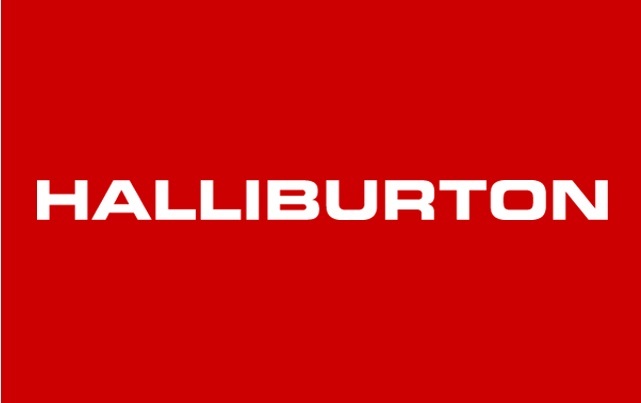 Perform preventive/predictive maintenance procedures on Halliburton equipment. Performs inspections required by the company, and government entities. Perform basic troubleshooting on electrical, mechanical, hydraulic and pneumatic systems. Performs own work and provides assistance to others as directed. Job tasks, correctly performed, impact indirectly on cost containment, efficiency, profitability or operations. Consequences of error are easily measured and can be confined. Skills are typically acquired through possession of a Technical School certificate. Must possess a valid driver's license. Job Segment: Mechanic, Technician, Maintenance Mechanic, Maintenance, Technology, Manufacturing, Operations. Works under close supervision, with work closely defined and standardized which allows the incumbent limited opportunity to use judgment or initiative. Performs simple, routine, and repetitive administrative functions. Requires 0-2 years of experience. Entry level position. Job Segment: Administrative Assistant, Administrative.